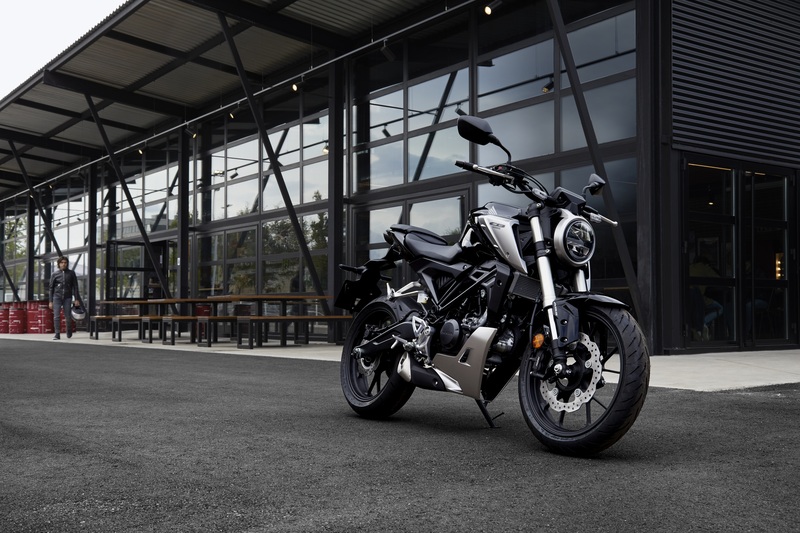 The CB125R is ready to go when you are. 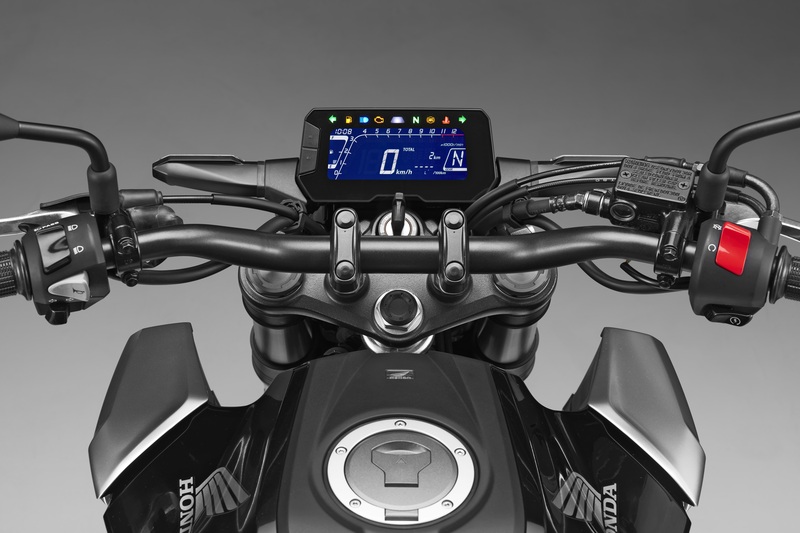 A free-revving 124.7cc SOHC 2-valve, liquid-cooled engine – proven in the CB125R – puts out 9.8kW peak power @10,000 rpm, and with 10.4 Nm of torque @8,000rpm it’ll have you smiling from the get go. The overall feeling is strong and steady for its size and, combined with PGM-FI fuel injection, you get a really crisp throttle response. The frame is built from pressed and tubular steel – with a pressed steel swingarm – finished in black. 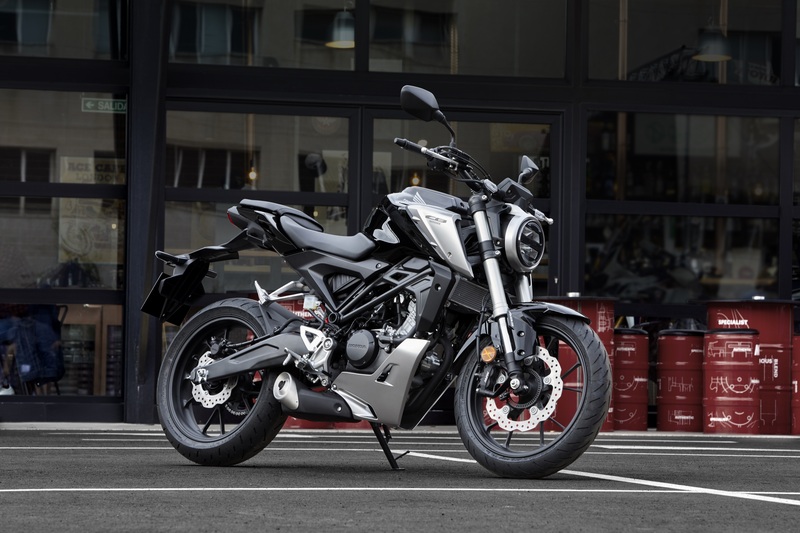 It’s a dark look that forms the basis of the CB125R’s agility and superior handling. Combined with a 5-stage preload rear shock and 41mm USD forks, you can lean confidently into any corner – no matter how tight or uneven it may be.